Microsoft web browser- Microsoft’s web browsing technology is coming back to the Mac. On Thursday Microsoft said that its Edge browser, which was introduced in 2015 as part of Windows 10, will be coming to the Mac as part of a broader rethinking of the company’s browser strategy. Edge was one of the biggest new features of Windows 10 when it became available in mid-2015. But it hasn’t taken off, despite Microsoft’s attempts to promote it in its own properties, like the Bing search engine. Google’s Chrome had around 62 percent share in November, while Edge had about 2 percent, according to StatCounter. Apple’s Safari had 15 percent, and Microsoft’s old browser, Internet Explorer, had 3 percent share. 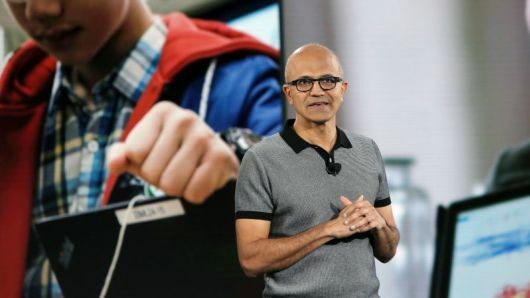 In the past few years, under the leadership of Satya Nadella, Microsoft has come to embrace open-source technologies more openly. It has added broader support for Linux in Windows and in the cloud, for example. Now, after depending heavily on its own browsing engine technology, Microsoft will make Chromium, the open-source heart of Google’s Chrome browser, a key part of Edge, essentially acknowledging that Google’s technology has become dominant. “Microsoft Edge will now be delivered and updated for all supported versions of Windows and on a more frequent cadence,” Microsoft Windows corporate vice president Joe Belfiore wrote in a blog poston Thursday. That language implies Edge will become available for Windows 7, for one thing. One recent report previously detailed Microsoft’s Chromium adoption plans and suggested that the company would release a browser to replace Edge. Instead, the company is refining Edge, to benefit multiple constituencies. “People using Microsoft Edge (and potentially other browsers) will experience improved compatibility with all web sites, while getting the best-possible battery life and hardware integration on all kinds of Windows devices,” Belfiore wrote in the blog post. This isn’t the first time Microsoft is building for the Mac, and it certainly isn’t the first time Microsoft is packaging up a browser for Apple’s Mac operating system. Apple offered Internet Explorer for the Mac but said it would stop coming out with new versions of the software in 2003. The post Microsoft is making its first web browser for the Mac in 15 years appeared first on erpinnews.